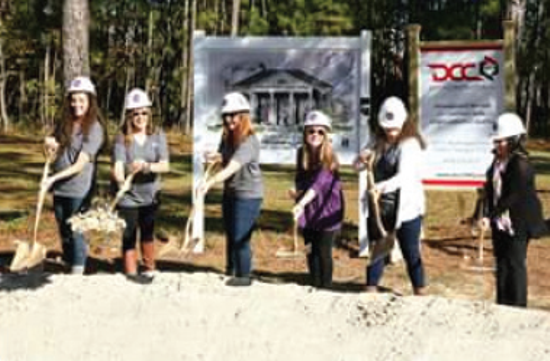 DCC Breaks Ground at Georgia Southern University | Dublin Construction Co., Inc.
On December 7th, our team took part in the ground breaking ceremony for the new chapter home of the Gamma Omicron Chapter of Delta Phi Epsilon Sorority at Georgia Southern University. The highly anticipated project will be the first new home built on Greek Row at Georgia Southern in nearly 10 years. Congratulations to DPhiE and we look forward to having your new home ready for Fall Rush in 2016!